On behalf of the governors, staff and children, we are delighted to welcome you to our small, happy and unique school. Our school is an inspiring place to learn and we aim to provide all children with meaningful and engaging learning experiences that will stay with them for life. Our friendly staff team are committed to enabling all children to thrive socially, emotionally and academically to attain their very best. This is built on the strong relationships fostered by all members of the school community, and high expectations of ourselves and of the children. Our children are highly motivated, well behaved and truly delightful to teach! Our creative curriculum is rich and varied, so children of all abilities and interests feel challenged and included at all times. Our outdoor learning is well established for our younger children and our older children receive specialist music and sports lessons. We celebrate their achievements each week in our Friday morning worship. We have many extra-curricular clubs and take full advantage of our wonderful surroundings. 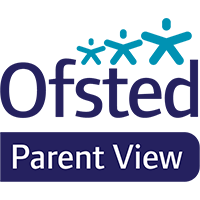 Our Ofsted Inspection in March 2017 recognised the sheer variety of activities, quality of teaching and care provided help pupils to grow in confidence, feel safe and develop their abilities, skills and interests. Eckington Church of England First School was founded by the church around 150 years ago and we continue to maintain a strong Christian ethos where reflection and spirituality are valued. We are very much a ‘family’ school and aim to cultivate and nurture attitudes of support and respect. Our families play a huge part in the life of the school and we encourage strong links with parents to share in the children’s learning. Children have just one childhood; we believe their time in school should be memorable and magical which will set them on the path for success in their future lives. We are always proud to spend time showing parents and children around our school and to talk about our vision and curriculum. Please feel welcome to visit our school at work, to ask questions and discover how your child could thrive here.